The bankrupted company, Agrokor changed its name to Fortenova Group. It means that the creditors’ claims will be transferred to the new group. 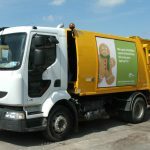 All workers, their contracts and rights were transferred to a new company, with the collective agreement going until June 2019,. when probably new negotiations will start. Mr. Peruško explained that the implementation of the settlement will include 159 companies, of which 45 that are insolvent will be transferred to new 32 solvent companies. The complete erasure of Agrokor from the Court Registry can be expected in the next two years. Old debts will no longer be directed to individual creditors but to the Fortenova Group. The current state of affairs with the refinancing of the roll-up loan is still a process that will take some time and it will be much easier to negotiate conditions when legal risks are smaller. “Just a year ago, this moment seemed very far. Meanwhile, a lot of processes have been done and healthy bases are set for the business of our most important sectors: retail, food production and agriculture. It is imperative to lead the parallel implementation of the compact and normal operating business of the company, especially when preparing the tourist season in its full swing,” emphasized Irena Weber, executive director of Fortenova. The implementation process includes up to 100,000 steps (from data changes to labels, bar codes, cashier accounts, up to 250 software applications, transferring finance to new accounts, internal communications, etc.). For 50,000 Agrokor’s employees, an application for internal communication was created that should bring the implementation process closer to all employees through simple examples. The non-disclosure figures for the Fortenova Group’s 2018 financial results, including Mercator, indicate that revenues will be at EUR5.4bn, or 18 per cent less than in 2016, and EBITDA (before taxes, depreciation and interest) between EUR320-340m, or 33 per cent higher than in 2016. However, it might not be proper to compare results from 2016 and 2018 with respect to all the diameters that have occurred in the meantime. First of all, there was a turning point in the strategy that came to the new management — revenues are no longer the main focus, because in the new company revenues growth should come from strictly profitable bases. Some contracts were terminated because they did not positively contribute to profit margins. Realistically, in the next two- or three-years EBITDA can be significantly increased, which the management plans to achieve by raising the level of business efficiency at all levels — primarily in retail, wholesale and agriculture. As can be seen from the results, their focus was on increasing the operating profit, not the volume of sales and revenues. The debt and debt ratio of the Fortanova Group, with and without Slovenian Mercator, is about one to 6.3, due to Mercator’s debt of about EUR2.1bn. Such a ratio points to a relatively high level of indebtedness, since it is considered a risk ratio of one to three or at most one to four. Currently, the base interest rate is 10.5 per cent, in April the base interest rate should be 11.5 per cent. This might be a problem for re-financing, but the management says that the excessive debt of Agrokor is the legacy of its past. The creditors’ debt settlement has been considerably reduced but Fortenova is aware that it is still at the upper limit, which is why the current interest rate on super senior credit is considerably higher than the prevailing market conditions. And the interest rates for refinancing super senior loans will be higher than market conditions and interest rates earned by companies in the industry, but this is due to the fact that Fortenova is out of insolvency proceedings, andthey have a relatively large debt and need to restore the confidence of the financial community. Every year, Fortenova will increase operational efficiency and reduce debt. This will be achieved by operating measures to significantly increase the EBITDA Group by 2021 or 2022, and by selling non-core businesses. Still, the revenues are smaller than the plan envisaged for 2018, due to a lower income in agricultural companies. This was caused by lower pork prices. Retailers and nutritionists have been doing business better than planned. The management will have to solve problems in agricultural companies, such as the farming company Belje and the wheat company Vupik, by concentrating and focusing on the production of certain products with which they can achieve larger, more significant volumes on the market and at the same time increase added value. The focus should be on products that can achieve a substantial share of the European market rather than scattering on a large range of products which are not competitive and not market-relevant. Retail and wholesale are the biggest issue for several companies. Tisak is the biggest retail newsstand chain with around 1,000 locations throughout Croatia. 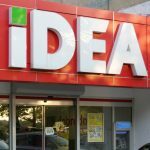 It’s also Croatia’s leading distributor of print and tobacco products, prepaid mobile cards, telecom operators’ start packages and other products. Velpro is a wholesale business, primarily for professional customers, such as restaurants, hotels, companies and public sector and a leading wholesaler in Croatia and Serbia. The new management still has no answer on these challenges, they are focusing on defining a new business model of Tisak, which has the most negative impact, as of the entire retail and wholesale branch. The state-owned Croatian Post (Hrvatska pošta) might be interested in Tisak’s acquisition. The situation in Velpro is a bit dire. There are thoughts it will return to Konzum, as its subsidiary, but Fortenova Group does not want to prejudge any potential solutions. Still, they have lost a lot of customers in the HORECA sector, although some clients are slowly coming back and with further work business confidence might return. 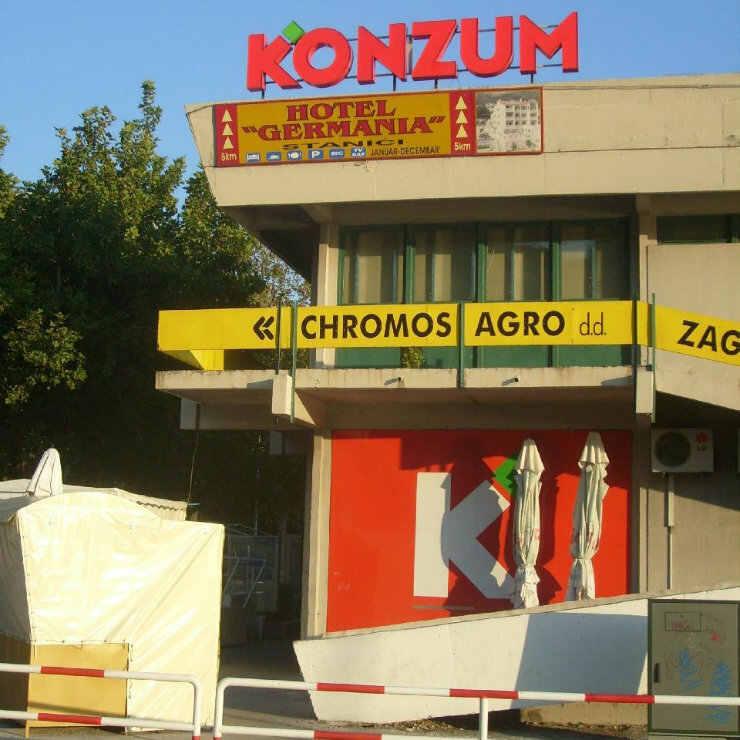 Konzum, the major Agrokor company, is the largest supermarket chain in Croatia, with just over 700 stores open in Croatia and more than 12,000 employees, and is also present in Bosnia and Herzegovina (BiH) and in Serbia. A fairly big surprise is the recovery of Konzum in Croatia. Konzum serves over 650,000 customers each day. 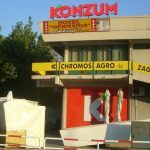 The situation of Konzum in BiH began to recover in the Q4’18. There is a new team that tries to restructure the company. Fortenova Group is also aware that they have not invested in many stores for several years. They decided to close 70 stores and are thinking about investing in new locations. Some of the decisions are connected with inherited problem of extremely high rental prices, especially in the large shopping centers. Among other problems is also the lack of labor force. It will be partly solved by increasing salaries, but the management expects a positive impact of the latest demographic measures of the government, to at least diminish if it does not stop the immigration trend from Croatia. 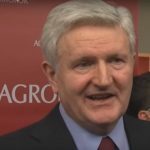 How are Agrokor’s cooperatives doing?